Recommended by Sara Meeks, the OPTP PRO-ROLLER Soft is ideally suited for balance and alignment exercises within The Meeks Method. The OPTP PRO-ROLLER Soft Pink provides gentle compression support for added comfort during use. As the softest PRO-ROLLER available, it provides a soothing surface that helps work out tight, sore muscles. Made with closed-cell cross-linked foam technology, this PRO-ROLLER maintains its shape, even with heavy usage. Soft Rollers are the best! I have many of the styrofoam rollers & they are hard & clients only want the pink soft rollers...so I got a couple & that wasn&apos;t enough. I now have 6 & may get more! I bought this roller as it was mentioned that Sara Meeks, PT, recommended it. I have osteoporosis of the spine and was aware of Ms. Meek&apos;s work in this area. I have been using the roller to address back pain and muscle tightness in my back. The size and density of the foam make it very comfortable to use, yet still effective. I love to recommend this product for patients who are in their upper middle ages or reaching the senior (65+) level. It provides good soft tissue release without being too firm/uncomfortable. We use it a lot for pectoral and UE stretching as well as for foam rolling. I have my own, too! I notice that if I use the roller early in the day, the morning stiffness goes away fast. I find it easy to get on and enjoy the quiet while balancing on it. 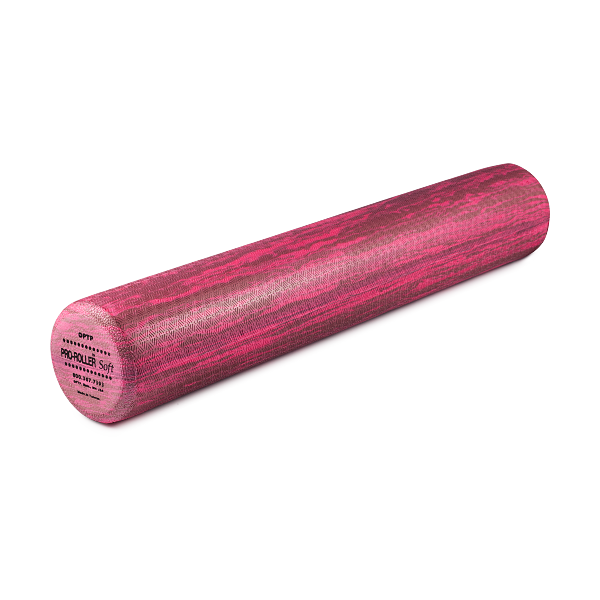 I am impressed with the results I have achieved using the pink roller....improved flexibility and core strength while enjoying comfortable support. Now that I have discovered benefits, I am using it in class with some of my Yoga students. I recently attended a course for continuing education for Physical Therapy from "The Sara Meeks"....After being introduced to this foam roller in the course, I ended up giving it away to the first person I showed it to, who loved it and wanted it. So I had to buy myself another for personal use. I use this roller almost every day for my self care and intend to get my work to purchase some for patient use. This roller is so adaptable for many different uses and is personally my favorite style of roller. (I have a collection of many different sizes and types of foam). 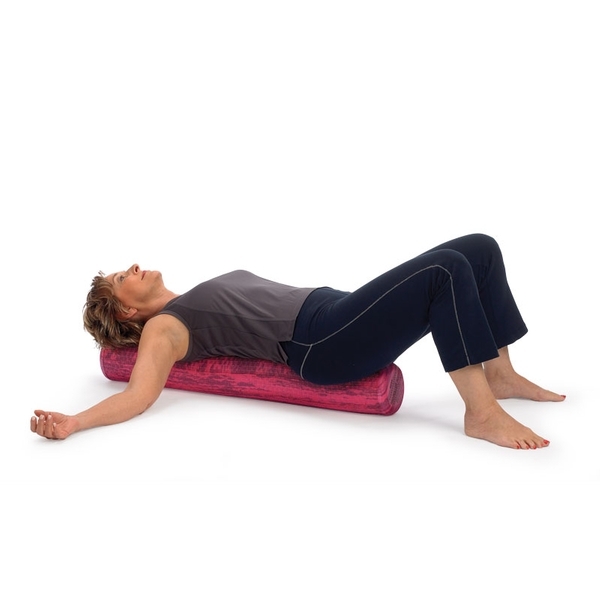 Using the soft pro-roller helped to reduce back pain in a gentle manner. Much less stress on the fascia than with the firmer rollers.